Assisted emigration is a feature of 19th century migration from Ireland to the United States and Canada. The owners of the estates in Ireland from which the emigrants left varied, with one example begin 'Crown estates,' those ultimately owned by the British Monarch. They were dotted around Ireland and one such estate was Ballykilcline in Kilglass Civil Parish, County Roscommon. 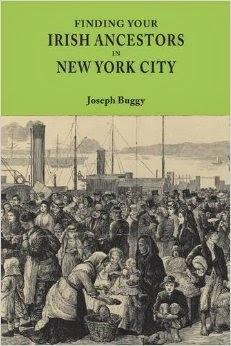 Beginning in 1847, 366 people left the estate on ships that sailed from Liverpool to New York City. The assisted emigrants sailed on the Roscius, Metoka, Jane Classon, Creole, Channing, and Laconic. The last of these ships left Liverpool on 25 April 1848. The small area of Texas, Baltimore County, Maryland was where many of these arrivals ended up. A limestone quarry began there in the years before 1847 and the Balykilcline assisted emigrants moved there for employment. The complete list of emigrants from Ballykilcline is available in Eilish Ellis' Emigrants from Ireland, 1847-1852: State-aided emigration schemes from crown estates in Ireland. A detailed website about the assisted emigrants is also available to review. Archaeological excavations of the Texas area were due to be carried out in the mid-2000s and an overview of this is available on the website of the Center for Heritage Resource Studies, University of Maryland. I first learned about this migration on the Irish Genealogical Society International blog. Ellis, Eilish. Emigrants from Ireland, 1847-1852 : state-aided emigration schemes from crown estates in Ireland. Baltimore, MD: Genealogical Publishing Co. 1993. p.12. 'The Emigrant Ships,' The Story of Ballykilcline, (http://www. ballykilcline.com) accessed 25 March 2017.